The Manufacturing Sharing Economy – Why – Part 1 of 3 | Fulcrum ConsultingWorks Inc. In this first of a three part series, Rebecca shares five reasons that manufacturing will soon incorporate the sharing economy model. 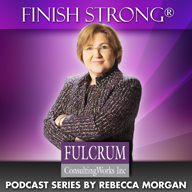 This entry was posted in Podcast Series: Finish Strong®, Process visuals and tagged manufacturing sharing economy by Becky. Bookmark the permalink.